As a creative business it is important to work alongside some of the best creative freelancers and small businesses in the North East of England. Over the years I have developed an extensive network of industry professionals who work in all aspects of digital media production. When required I can use this network of specialists to bring together the best talent to work on your specific project. I have not only developed strong repeat business from my clients but also gained recommendations and referrals to new clients. Gemma has worked on the CD/DVD Duplication side of the business for many years, producing artwork for CD/DVD optical media products. She has a keen interest in Adobe After Effects and has produced some very nice motion graphic work. TSM provides web development, SEO and consultancy services as part of the TS9 Group. Ian is very experienced in all things film related and extremely easy to work with. Our combined experience allows us to cover most filming projects from corporate training videos, live event filming or promotional advertisements. Ian McCann is a very experienced freelance television Lighting Cameraman. 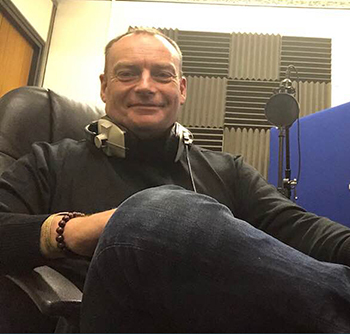 Specialising in high quality creative location camera work for Commercials, Documentaries, Features and Corporate Communications, Ian also works in Current Affairs, News and Sport. James Harris - Writer, Film-maker, Performer. In-House Project Manager and Workshop Leader at Writers' Block North East. Graeme Rowatt - Burns Rowatt Commercial Photography. All SEO work is managed by TSM in the UK using highly trained search engine optimisation experts, we provide very effective on demand search engine optimisation services.